Do You Need A Permit For Window Replacement? There seems to be a lot of misunderstanding, confusion, and sometimes outright lying in the industry about residential building permits for window replacements. Just so it’s clear right away, any window replacement where the existing opening is expanded, or the structure of the wall is altered, requires a building permit from the municipality. Usually, there are three reasons why homeowners decide to expand an existing window opening: for a bigger window, to change window into a door (including patio doors), or to meet fire code or egress requirements. A building permit is required when the window opening is expanded sideways. Because enlarging the opening sideways often requires cutting the studs on either side of the window, the wall structure can become unstable. Of course, the size of the opening plays a crucial role in the security walls, but on paper, it is necessary to get a permit even for smallest horizontal expansions. Who is responsible for obtaining the building permit? Technically, obtaining the permit is the direct responsibility of the homeowner. They are the ones who submit the application, pay the fees, and ensure that the permit is granted prior to any work commencing. However, it is often difficult for homeowners to know exactly what to put in the permit applicaiton, or how to fill it out properly. Therefore, many homeowners simply expect or depend on the window company to do that work for them. …is that many window companies still do not want to undertake the paperwork process. They simply tell the client that a permit is not required for their replacement, or that their expansion is not big enough to warrant one. THIS IS ABSOLUTELY WRONG! Instead of taking the time and a small amount of money to get things right, you end up risking your life and the life of your loved ones. Remember, discuss not only whether a permit is needed with your project consultant, make sure you also figure out which party will be responsible for securing the paperwork. What will happen if you don’t get a building permit for window replacement? There are plenty of clients that will be satisfied without having a permit for their expansion, and there are just as many window companies that will undertake such a job to make a dollar. But what does it say about the company’s reputation if they are willing to blatantly disregard the building code? Professional window installers will generally try to stay away from that kind of work. After all, it is their name that gets brought up first when something goes wrong. While you may also not be considering selling your house, not getting a permit can cause problems when you do. If a new homeowner decides to get a home inspection, the information on paper will not match the actual structure of your home, potentially leading to more problems. Firecode stipulation requires egress windows to be a certain type (so the windows can open freely to make for an exit) and that they be a certain minimum size for a person to physically fit through them. Although cutting the wall structure is necessary to make windows meet egress requirements, it is often possible to cut the window down. As we mentioned earlier, you can get away with cutting the wall downward as none of the supporting pieces are intruded upon. 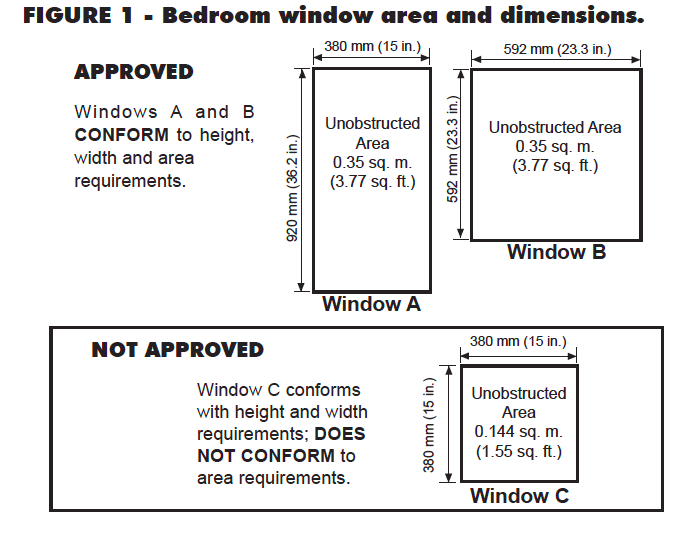 As long as the width of your existing window meets the mininum width requirement for fire code, it is possible to do a cut-down without requiring a permit. However if the size of the cut-down is significant, you may still want to consult the code requirements. Do You Need A Permit For Window Replacement? Overall rating: 4.9 out of 5 based on 41 reviews.